To enter, place your name and email address in the box below. The winner will be selected on Tuesday, August 17 and notified by email. This giveaway is open to US residents only. Giveaway runs until Monday, August 16 at midnight. One entry per person, email address and IP address. Multiple entries will be disqualified. Sooo exciting! My fingers are super-crossed!!! im follower n sub to emails. I would really appreciate this giveaway, as I am running out of makeup of my own and reuse the same eyeshadows. I know what you mean about feeling chic! 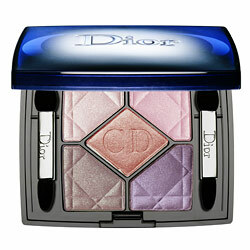 Dior is just the epitome of style!